Up-to-date lists of anti-cancer drug classes and drug targets. Search for specific drugs or groups of drugs. The ability to save favorite searches and drugs of interest. 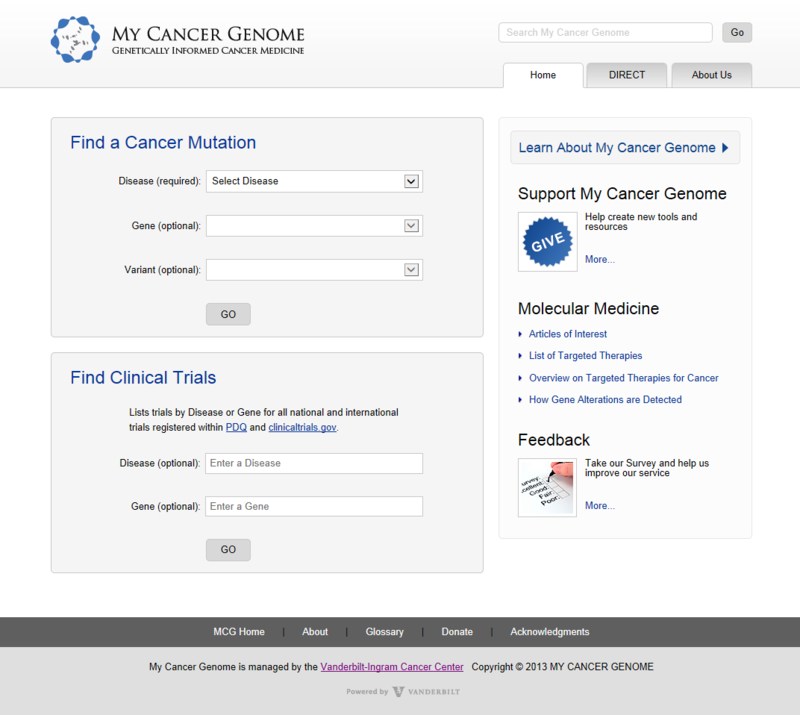 My Cancer Genome launched in January 2011 and compiles research from physicians and physician-scientists from around the world. Patients, physicians, caregivers and/or researchers can search the database for updated information regarding the ever-expanding list of genetic mutations that impact different cancers. One particular benefit is the ability site visitors have to search various mutation-specific treatments and explore clinical trials happening locally, nationally, and internationally. The website and MCG DrugList are managed by Vanderbilt-Ingram Cancer Center. The MCG DrugList app is free to download in the iTunes store.